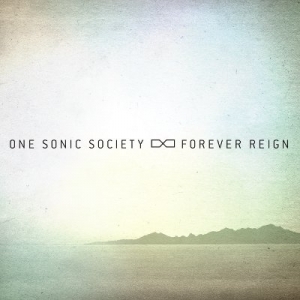 Uber-talented worship band, One Sonic Society, have just released their full-length debut album 'Forever Reign', following an introductory trio of EPs that saw the three band members launch this project alongside their already productive music careers. Dove Award winning songwriter and producer Jason Ingram and former Hillsong United drummer Paul Mabury make up two thirds of this group, but it was former Delirious? guitarist Stu G who LTTM spoke to as we found out more about One Sonic Society. Read More Uber-talented worship band, One Sonic Society, have just released their full-length debut album 'Forever Reign', following an introductory trio of EPs that saw the three band members launch this project alongside their already productive music careers. Dove Award winning songwriter and producer Jason Ingram and former Hillsong United drummer Paul Mabury make up two thirds of this group, but it was former Delirious? 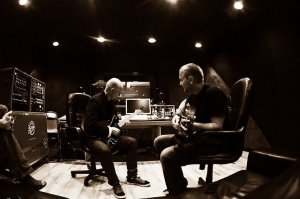 guitarist Stu G who LTTM spoke to as we found out more about One Sonic Society. 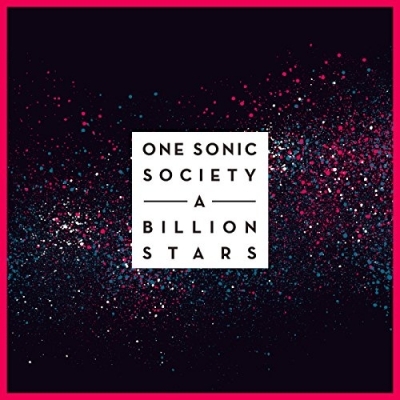 One Sonic Society seems to be a bit of a side project which you all fit in around working as songwriters, producers and musicians for other artists. So, what made you all decide to get together as a band? When we knew Delirious was coming to an end, it left me pondering, what's next? One thing I knew for sure was that I wasn't ready to hang up the guitar, and so for the last year of Delirious touring every time we came to America I tagged on a few days to visit Nashville and simply talk to people and connect the dots. Jason Ingram reached out to me and we spent a week writing together. He had already met Paul and we just connected dots and decided we would start OSS as a way of serving the church with songs. It isn't our full time occupation but is more than a side project. Jason, Paul and I have become very close friends. Tell us a little bit about your new album 'Forever Reign' and why you're releasing it now? We decided that we would release the song Forever Reign to radio, and it's done really well... especially at K-Love here in the states. The label thought it would be good for momentum to release a compilation of songs from the 3 EPs. Which is your favourite track on 'Forever Reign' and why? That's a tough one... I love Forever Reign and Greatness Of Our God because they are the songs that kicked it all off, but the song that stands out for me is Now And Forever... I love the theme of grace and that God loves us as we are and that "my sin has gone like it has not been". That came from reading Meister Eckhart a German vicar from the 12th century. Many of the songs that One Sonic Society have written and recorded have been picked up by other artists - why do you think these songs are proving so popular? It's very humbling to be a part of something like this, I think that they are good songs to start with and hopefully are resonating with what other artists, and more importantly the church, wants to sing. Which song writer, outside of the three of you, do you respect the most and why? That would be different for the 3 of us, but right now for me I admire Jack White. Has it been difficult adjusting from being in a full-time touring band and do you miss that style of life? It's not been too difficult because I haven't had time to think too much about it. Transition has been difficult because it doesn't just involve me but my whole family. I do miss playing live so much and all that brings. I miss the camaraderie of the tour bus. Are you still in touch with your former Delirious band mates and have you had any discussions about reuniting?! I'm in touch with most of the guys, I see them as brothers. We were together a long time. Everyone has needed space and time but when I look back it's with great fondness and amazement at what we did. There's been no discussion of a reunion so far. What has been your highlight so far in the short time One Sonic Society have been together? The highlight so far has been our growing friendship, the songs we have written and the chance we have to be a part of and influence other bands and projects apart from our own. Wow that's hard... I think it would have to be a Queen song as that's what kicked it all off for me... maybe Spread Your Wings or Somebody To Love. What does the next year hold for One Sonic Society?